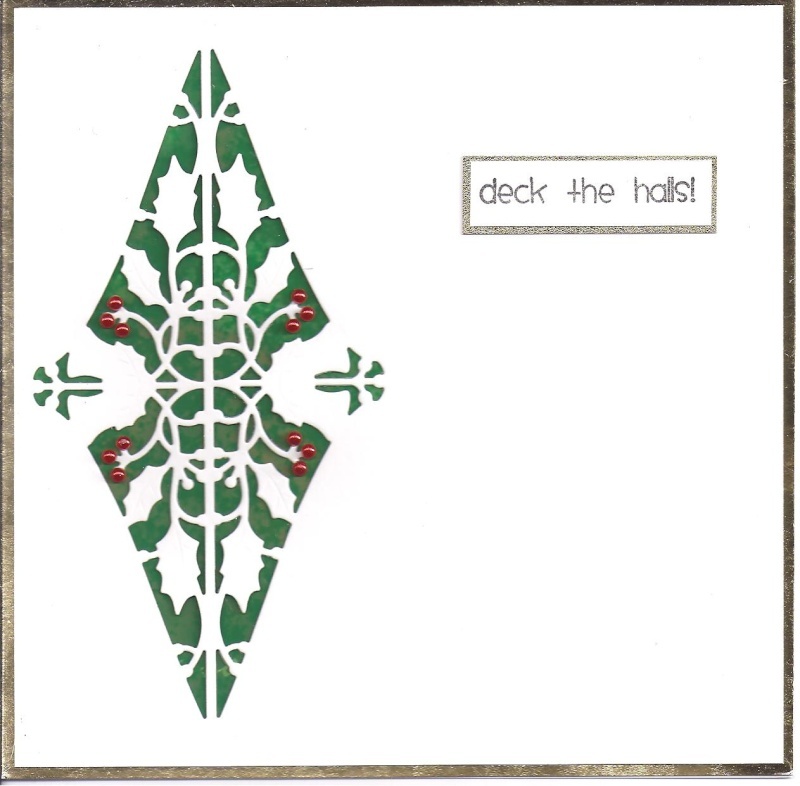 Would have liked a nicer Deck the Halls stamp. Die cut from the inside front of a used card with florist wrap behind (you can't see, but it's a mottled design). Mounted on a used card (one you remove the insert from) that had a gold border. Sentiment stamped on a used scrap and mounted on a used piece of gold card. The red pearls are new! Looks a bit stark in the picture, but just looks minimal IRL. That's lovely, unusual design is great. Very chic, liking that green.